The 2003–04 season was Chelsea F.C. 's, 12th consecutive season in the Premier League and 98th year as a club. Manager Claudio Ranieri was sacked on 31 May 2004 and was replaced by José Mourinho. In July 2003, long-time chairman Ken Bates sold the club to Russian billionaire Roman Abramovich. 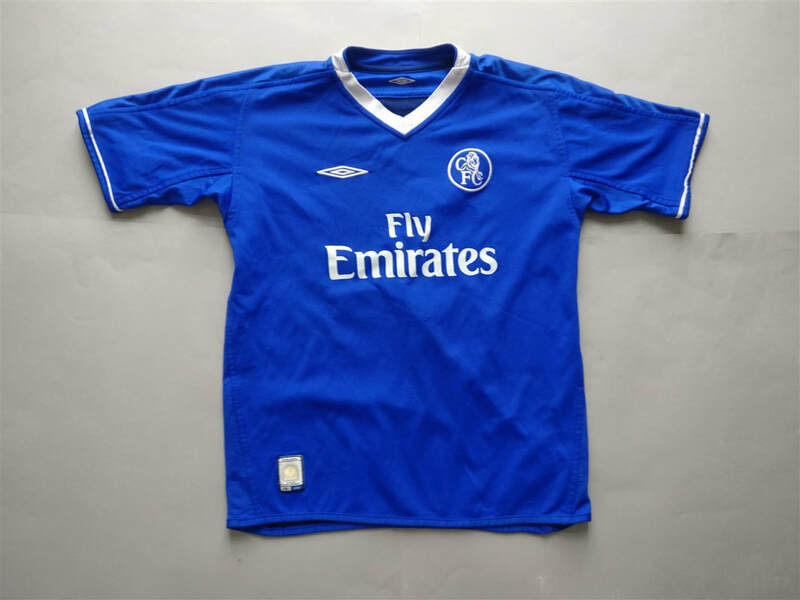 This shirt signifies the beginning of a new era for not just Chelsea F.C. but for football is a whole. Hernan Crespo was the first Abramovich player to be placed on the back of one of my Chelsea F.C. shirts. The player didn't really make his mark. This may be recurring theme throughout my collection. My three most recent 2003/2004 Chelsea shirts that I have added to my collection.